We welcome your email, but please understand that communications via email or through this website do not constitute or create an attorney-client relationship between you and Orsinger, Nelson, Downing & Anderson, LLP or any of its lawyers. Unless we reach an agreement with regard to representation, the information you provide will not be treated as confidential or privileged, and any such information may be used adversely to you and for the benefit of current or future clients of the law firm. Jim Loveless listens. And he understands that details matter—not only to the people he represents but also to the judges and juries he appears before. He absorbs every fact and minute detail about a case. Whether it’s the names of the children of a West Texas rancher he represented a decade ago or the color of the fence in a property dispute, Jim makes sure he knows everything he can before walking into the courtroom. That intense level of preparation has been a hallmark of his Family Law practice. “I’ll get up two hours earlier than I need to just to be ready for a trial,” said Jim. Throughout Jim’s exemplary career as a Family Lawyer, he has represented individuals by providing both personal attention and the highest standards of legal representation. 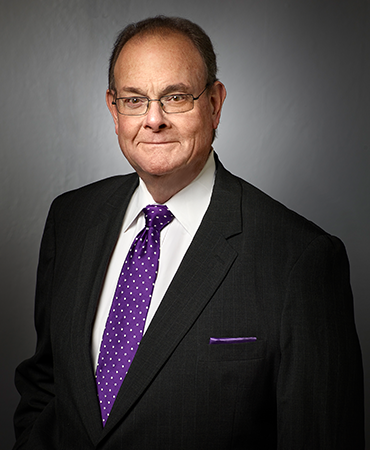 Jim is well-known and respected by his peers in the Family Law bar, having served in virtually every leadership position in the Texas Academy of Family Law Specialists and the Family Law Council of the State Bar of Texas. As an author and speaker, he has shared his insights and expertise with generations of Family Lawyers across Texas. Jim’s expertise is reinforced by his membership in one of the most selective and exclusive Family Law organizations in the world: he is an Emeritus member of the American College of Family Trial Lawyers, an invitation-only group of 100 Family Lawyers from across the U.S.
Based in Tarrant County for more than 40 years, Jim’s practice stretches across Texas, specializing in complex Family Law matters where both the stakes and emotions can run high. His work has garnered him recognition on every Thomson Reuters Texas Super Lawyers listing since its inception in 2003. He has also been selected to Woodward White, Inc.’s annual Best Lawyers in America list every year since 1987. Jim is a fourth-generation Fort Worthian, and proud father of fellow ONDA attorney, Lon Loveless. He and his wife enjoy traveling and spending time with their grandchildren.